I absolutely loved this place. The staff was wonderful. I would stay here again and I would highly recommend this place to anyone. 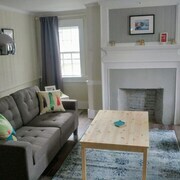 Really nice room, clean and spacious. Good price and a really nice breakfast. Where to find Liverpool hotels near an airport? Where can I find hotels in Liverpool that are near tourist attractions? 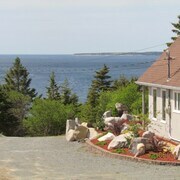 So, are you vacationing in Nova Scotia and are looking to choose a room in Liverpool? Within 0.1 kilometres (0.06 miles) of the downtown area, you can find 4 Expedia-listed accommodation options. Those wanting to find accommodation in a nice central location in Liverpool, should check out the Best Western Plus Liverpool Hotel & Conference Centre and Lane's Privateer Inn. The Morton House Inn is 2 kilometres (1 mile) away from the middle of Liverpool. 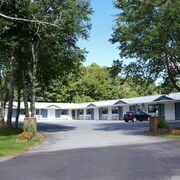 The White Point Beach Resort is 9 kilometres (5 miles) away. Bridgewater is 40 kilometres (26 miles) to the north of Liverpool and is where you'll find DesBrisay Museum and Woodland Gardens. 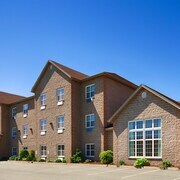 Bridgewater hotels include the Best Western Plus Bridgewater Hotel & Convention Centre and Comfort Inn Bridgewater. 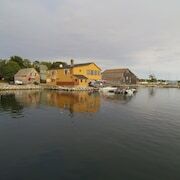 Alternatively, you could stay in Mahone Bay, 55 kilometres (33 miles) to the northeast of Liverpool, where you can choose from the Fairmont House Bed & Breakfast and Heart's Desire Bed & Breakfast. If you're staying in Mahone Bay, set aside a little time to visit the Mahone Bay Settlers Museum and Mahone Bay Swimming Pool. Before you head home from Nova Scotia, why not make sure you catch some sport. Visit Kinsmen Field to the northeast of Liverpool. Book a hotel near the action at the Days Inn And Conference Center or the Bridgewater Hotel. Stanfield International Airport is a logical airport, and can be found 130 kilometres (83 miles) away from Liverpool. 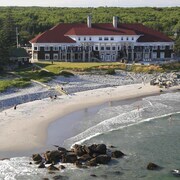 Nearby hotels are Holiday Inn Express Halifax Airport and Hilton Garden Inn Halifax Airport. What are the most popular Liverpool hotels? Are there hotels in other cities near Liverpool? What other types of accommodations are available in Liverpool? Explore Liverpool with Expedia.ca’s Travel Guides to find the best flights, cars, holiday packages and more!